Brother Epimaco Cabanlit, members of the Steering Committee, Brothers and sisters, good Morning. 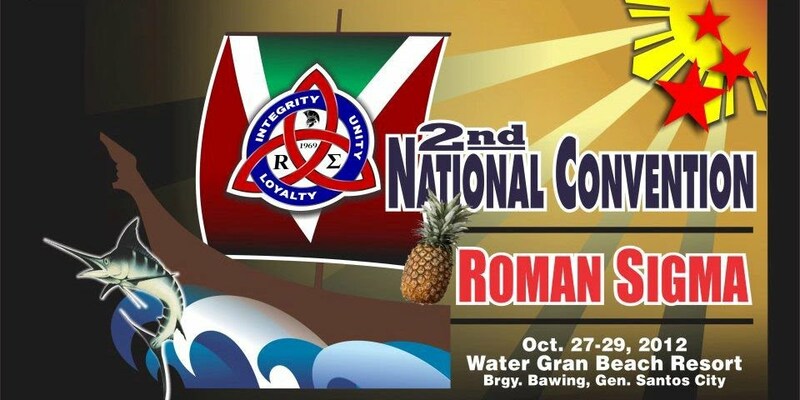 I am genuinely delighted to see all of you today and profoundly honored to be given the chance to formally open this well anticipated 2nd Roman Sigma National Convention.My long journey all the way here to General Santos City is vindicated by this large turnout of members from all over the country and abroad. It has now been more than 2 years since I have seen a similarly large gathering of Roman Sigma. It’s also been about two years since we’ve started mobilizing members of the Host Team of General Santos City conglomeration of Chapters to organize this biennial gathering. I am deeply indebted to this hardworking team for their actions on behalf of the Steering Committee. I must take this opportunity to extend my sincere appreciation to Sister Gina Perez-Johnston for leading her team in making this important event happen. May I ask everyone to please give them a big round of applause. Sis Gina was also instrumental to why Sis Amie Zonio is here with us. If she had not strongly bid for hosting this event in General Santos City, she would have not decided to come home to her beloved Gensan, all the way from Virginia, USA. Please give another big round of applause to these two fine sisters. Iwill say that organizing this event has not been an easy task.A few months after the 1st National Convention, the conveners were practically groping in the dark, not knowing where to begin. Sister Gina, Sister ElgienVerano, (whom I regret that she is not here with us today due to a schedule conflict), and I incessantly exchanged views over the internet about which strategy to use. The other members of the conveners, Brod Leyto Labata and Brod Nestor Longakit, were so busy at that time that we barely saw them come, online. Nevertheless, their insights and encouragements gave us strength to keep the ball rolling. Finally, we decided to build an Interim Steering Committee, in which, I became the Chairperson, Sis Elgien, the Chair for fund sourcing, and Sis Gina as Vice-Chair and also the lead person of the Host Team. Sis Elgien’s contributions were incredibly valuable up until the last hour, despite notifying us long before this convention that she couldn’t attend. We kept her absence a secret to discourage demoralization among members and the Host Team. Sis Elgien deserves a big round of applause even in absentia. The problems were never totally solved after the organizing of the Interim Steering Committee. Five people can’t do everything. This was aggravated by the fact that Sis Elgien and I are living abroad. So we agreed to invite more members to join the Steering Committee. An addition of six members was selected based on their contribution to the success of the 1st National Convention and their potential contribution to the 2nd National Convention. The response from our invitation was very encouraging. Brod Dante Manlimos made the coordination more effective by creating a Facebook page for the Steering Committee. Brod Alexander Beley effectively coordinated with the Iligan Chapters. Brod Ramil Sanchez provided us with effective online tools for coordinating the registration as well as online streaming of our activity today so that Romans who are not here can join us via the internet. Brod Elias Egam is coordinating for the MSU –Marawi Chapter tagging along with our younger brothers and sisters. Brod Raul Almeria coordinated with the Host Team to create some of the materials for the program. And last but not least, the only rose among the thorns, Sis Amie Zonio, my Triangle batch mate, wrestled with me and the rest of the Steering Committee in developingthe most appropriate statement for our convention theme. Hence we have: Strengthen the bond; let’s convene to shape the future. - A very fitting mantra for this two-day celebration. Please give a big round of applause to the members of the Steering Committee. I am also impressed by these people’s readiness and willingness to accept these responsibilities without batting an eyelash, when I assigned these topics and tasks in the programme to them. I salute you guys. 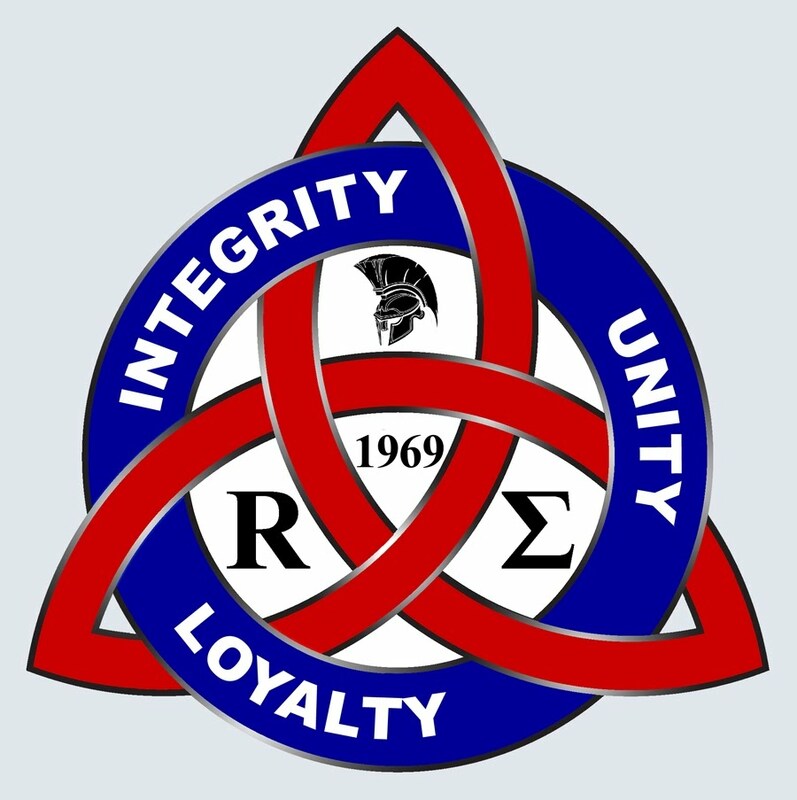 For more than four decades, Roman Sigma had focused most of our energies on the usual activities campus Fraternities and Sororities do; such as recruiting members, increasing our numbers, socializing, etc. We did not anticipate the future. We never really pondered on the fact that we would still be Romans beyond the university and that there will be new generations of Romans born in various campuses around the country. Thus, we never really thought about planning the next steps for upgrading our organization to meet the challenges of a new era. In the early 90’s, when Sto. Nino Community Chapter was still very active, Brod Jerry Dela Cruz, one of the prominent members and now a very successful businessman, asked me where we are heading. He observed that while we met regularly, did some community projects and ventured into small time enterprises (such as sponsoring benefit dances in the town plaza during fiestas), most of the time our chapter’s money was spent only on “tapok-tapok,” that would always result in drinking sprees. He opined that we can do better than just socializing and recruiting and investing on petty projects. He envisioned a “big” Roman Sigma, an organization that can be compared to prominent civic organizations with a clear vision, mission and goals. I said yes, it’s possible? The first concept for the Roman Sigma Foundation actually originated from that conversation. Although that plan was not yet realized, it was never forgotten. I said to myself, someday, the right opportunity will present itself again. And it has, indeed, today! I believe we should consider it all over again. And this time around, we’ll make it truly happen. I believe things larger than us do not happen like magic. It takes time, effort and a lot of patience for something great to be born. Planning is its mother and the right time is its birthday. The biennial national convention will provide us with that opportunity. It is the only time that we members of the Roman Sigma family can discuss these dreams. We will start here. But first of all, we need to delve further into ourselves: Know who we are, what we are, what we stand for, and most importantly what our goals for existence are. We need to know all of these things before we can determine what we really want and what we can do. The foundations of our existence should first be strengthened. Only then can we move on to the next phase. Brothers and Sisters, the national convention means an opportunity for us. To plan, discuss, exchange ideas, and act on whatever is workable one at a time. We never need to rush because this process is tedious. What is important is that we have started the process. We should not cower despite how big these goals seem to be. We should not be afraid to dream big, for only in dreaming and working hard for it can our aspirations become a reality. So it seems, but I believe we can do it. For two whole days and two nights, the Steering Committee carefully selected activities that will guide us towards achieving these goals. As you can see in the Programme, the activities are loaded with lots of listening, participating and doing. No fun games! This is because we are still in the organizational strengthening phase, which is the first stage of our process. When this is over, our next conventions will be a bit more active and physical. There will be lots of leisure activities like beach volleyball and fancy shows because we have done our homework already. For that time, the next Steering Committee may decide to extend the convention for 3 days. Why not? I am confident that with our combined hard work and the expected excellent output of this event, contributions will be pouring from members in support of the next convention. Imagine, if only all members will contribute - say an average of 1,000.00 pesos each - we will have more funds to spend for a three-day convention. In my crude estimate (Don’t ask where I got the data. It’s just an educated guess. ), our population is now more or less numbering 2,000 members worldwide. But let’s get real. Let’s look at tangible figures. In one of our Facebook accounts (the one created by BrodRamil), there are 651 members and counting. Therefore, if these 347 members would only send at least P1000 each, we will have a convention fund of 347,000.00 pesos. I’m sure there will be savings left that we can use to fund beneficial projects. Sounds exciting, right? So maybe we should all spread the good news. What do we do now?Today and forward, we will keep on connecting to all members worldwide. We will tell them what we have been doing here so they will not hesitate to send their support for upcoming conventions. We can do it over and over again! I wish you all a very interesting convention and a lot of real conversations. Brothers and sisters, ladies and gentlemen, it gives me great honor and pleasure to declare this 2nd Roman Sigma National Convention open! We may now partake from the most delicious lunch Gensan has to offer. Indulge yourselves.